I never really cared for the sciences when I was an adolescent. In high school, I almost failed chemistry and at home, my chemical engineer father would bug me by using chemical terms all the time. Instead of saying, “Pass me the salt”, he’d say, “Pass me the NaCl (Sodium Chloride).” He liked the periodic table of elements whereas I preferred pop music. 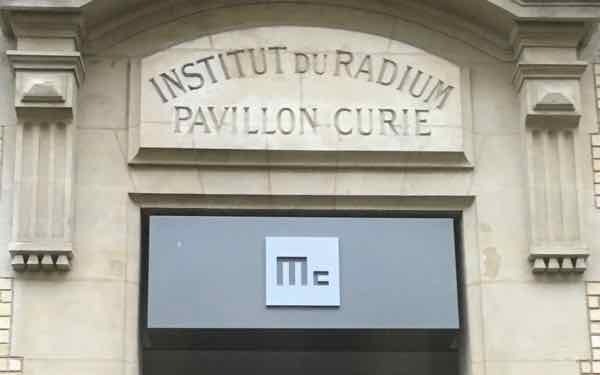 Had he taken me to the Marie Curie Museum in Paris during my first trip to France, I might have had a greater appreciation for the sciences. 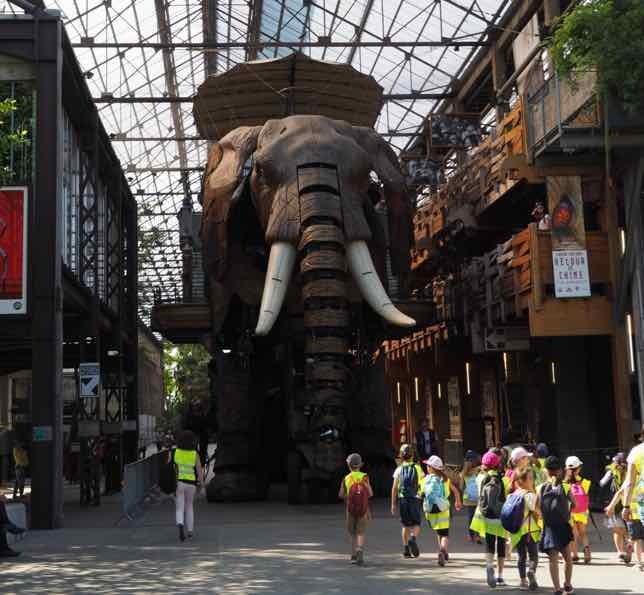 This free museum is worth a visit, especially for young women. They will be inspired by the story of one of the greatest scientists in the world. With the recent announcement of the 2018 Nobel Peace Prize for Physics given to Canadian, Donna Strickland, there has been a great discussion about the lack of female Nobel Peace Prize winners in this category. In fact, there have only been three. In addition to Strickland, there is Maria Goeppert-Mayer from the United States (1963) and Marie Curie, who was the first woman to receive a Nobel Peace Prize in Physics (1903). 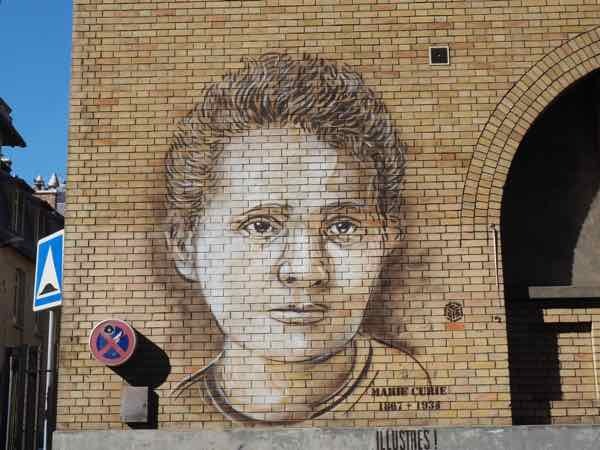 Marie Skłodowska Curie was a Polish-French chemist and physicist who was born in Poland but moved to Paris in 1891. 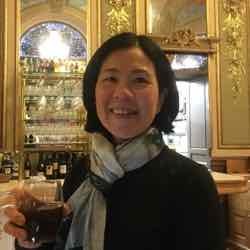 She received a doctorate in Science from the University of Paris and her research was in the area of radioactivity. She and her husband, scientist Pierre Curie, published numerous scientific papers. She won a Nobel Peace Prize in Physics with her husband Pierre and fellow scientist Henri Becquerel in 1903. It’s important to note that initially, the award was only going to be given to the two men; however, Pierre fought to get her name added. As such, she became the first woman to win a Nobel Peace Prize. her second Nobel Peace Prize was awarded in 1911 in Chemistry. her daughter, Irène Joliot-Curie and son-in-law, Frédéric Joliot-Curie also received Nobel Peace Prizes in chemistry in 1935 so that in total, 5 Nobel Peace prizes were awarded to the Curie family. 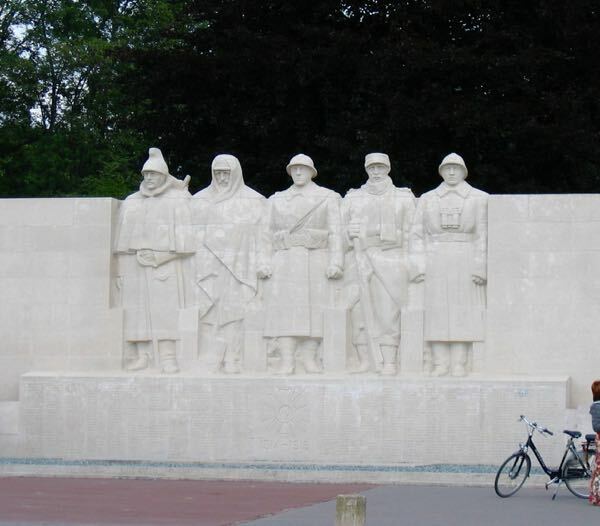 Madame Curie was very active in the World War I battlefields where she established radiology centres near the front lines so that wounded soldiers could get X-rays and be treated more immediately. During her time working with radioactive materials, Curie was exposed to radiation and at the time it wasn’t known that this exposure was dangerous. She worked with radioactive isotopes and X-rays without safety measures or protection. This contributed to her death and she died of aplastic anemia in 1934. Curie did extensive research on radioactivity. Her work showed that if cells from tumors were exposed to radium, they could be destroyed. This was the beginning of the work on treating cancer with radiation. 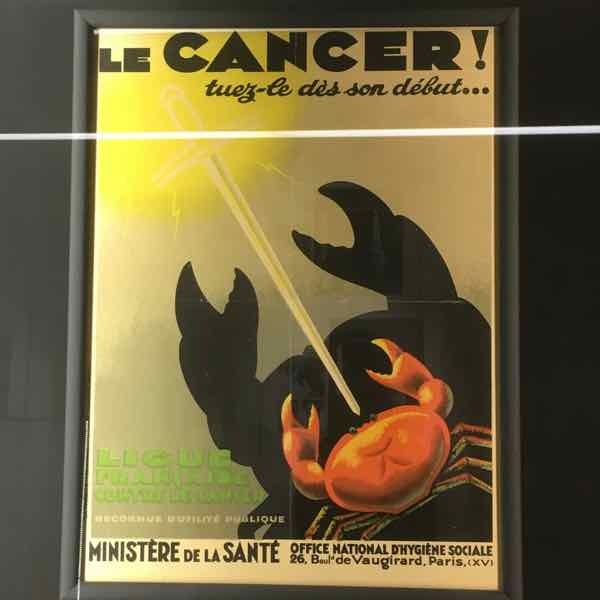 In 1921 a dispensary devoted to fighting cancer was established at the Curie Foundation and this poster is an example of the government’s push to get people diagnosed early. 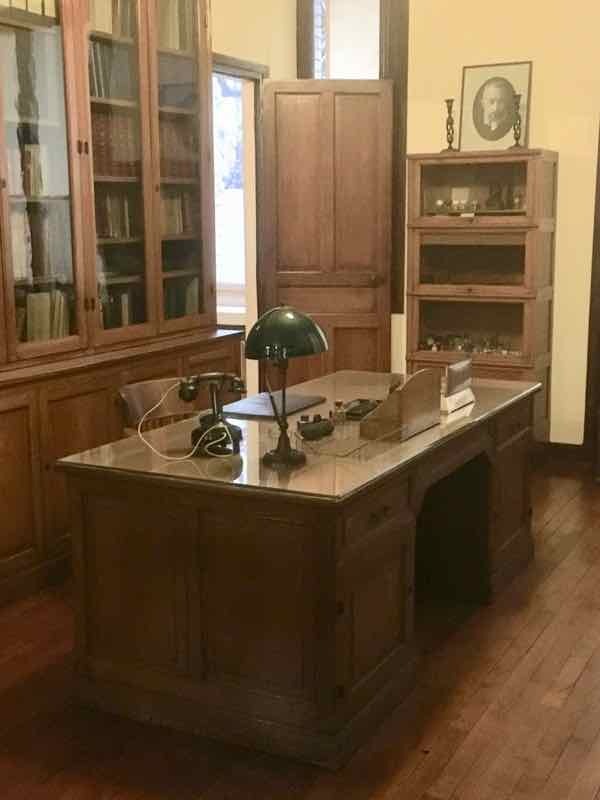 Musée Curie is located in the former laboratory that Curie used. 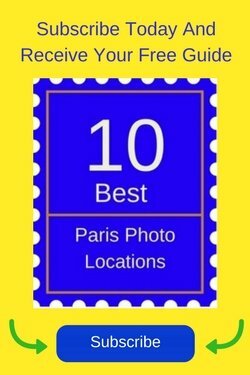 It is a small museum and there are details about her life and work with her husband, Pierre. 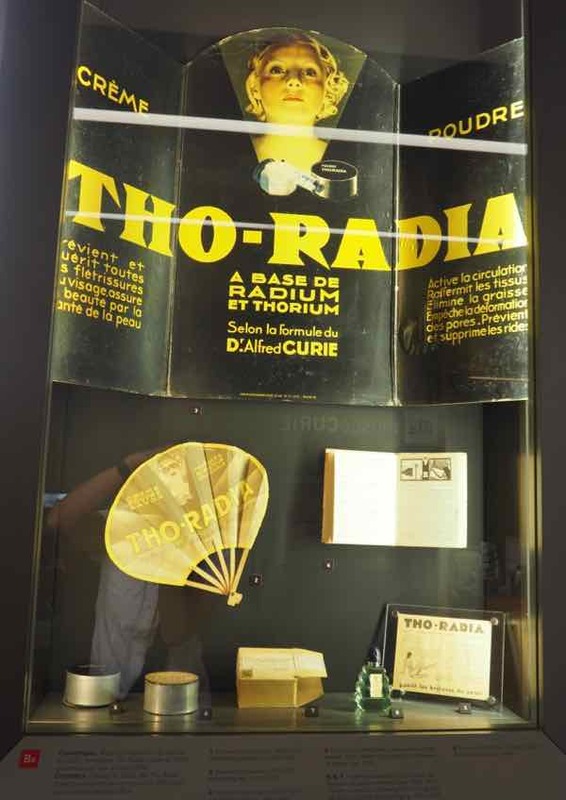 The displays (with English and French descriptions) show the equipment used at the time and now that we know about the dangers of radiation, it is so surprising to see face powder and toothpaste that have radioactive materials in them! Don’t worry about radiation exposure. The laboratory was decontaminated in 1981. 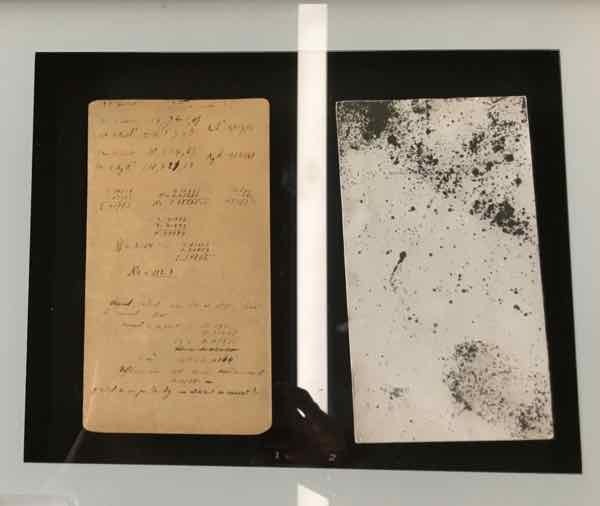 Interestingly, there are a number of materials, such as some of Curie’s notes that are still radioactive. 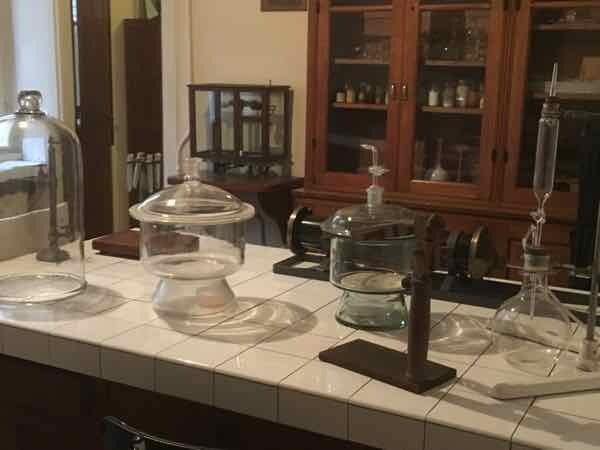 They are kept in the Center of Historical Resources of the Curie Museum. A copy is on display in the museum. 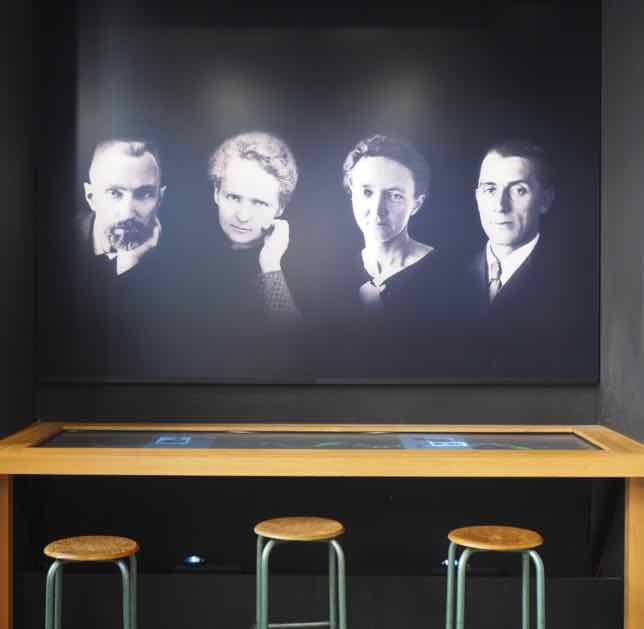 It’s worth a visit to the Marie Curie Museum to learn a bit about a remarkable woman, a woman who achieved so much in an era where only men were typically recognized. 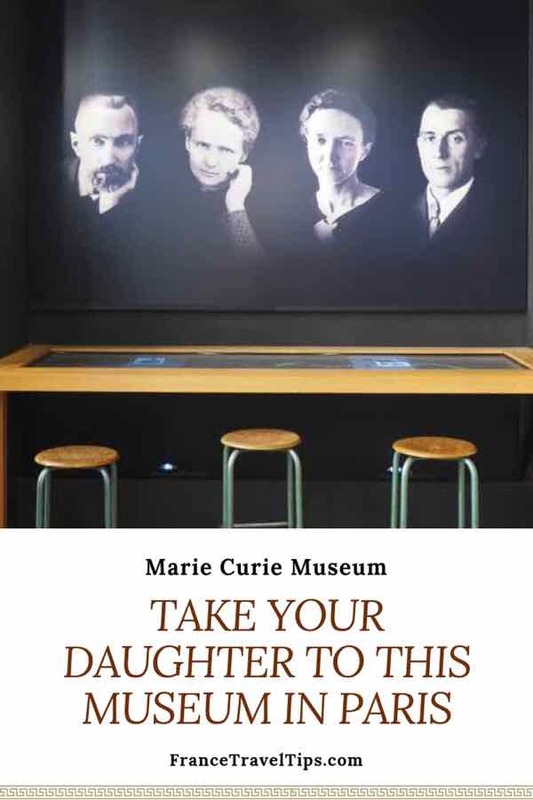 The museum is housed in the Institut Curie (Radium Institute) which housed Marie’s laboratory from 1914-1934. 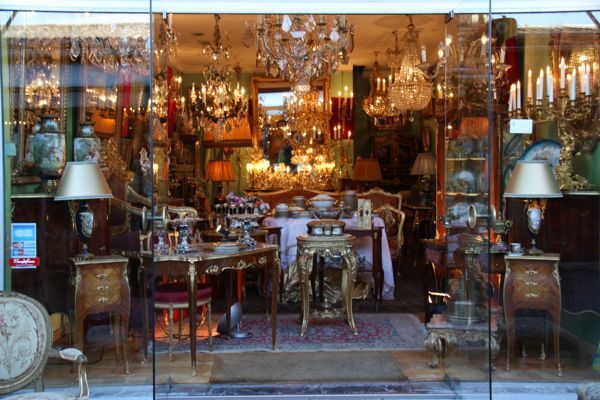 Hours: Open from Wednesday to Saturday, from 1:00 to 5:00 pm. What a remarkable scientist she was—two different Nobel prizes! 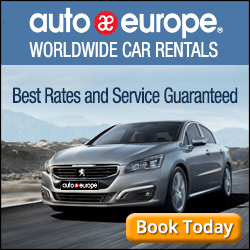 She is justifiably famous in France and around the world. sooo..cool. Thanks for the history lesson and letting us know once again WOMEN ROCK!